When you were resonating to a lower frequency of light, it took a long “time” for your conscious and un-conscious self to manifest the thought-forms that you consciously, or unconsciously, created. It took more “time” for your thought-forms to manifest because they were created within time. Now, your super-conscious thoughts and multi-dimensional emotions are seeping into your 3D brain. Therefore, your thought-forms are immediately returning to you in various stages of manifestation. The term, “what you think about, you bring about,” will exponentially expand. The term “individual” will slip from your vocabulary once you have fully logged-out of the 3D Matrix. When you create your reality in this manner, you create a lattice, a “Jacob’s Ladder,” into the higher dimensions of reality. This “Jacob’s Ladder” is the unity of all the dimensions of your Multidimensional SELF held together by the outsides of the ladder, which reminds you of the polarized reality you are releasing. 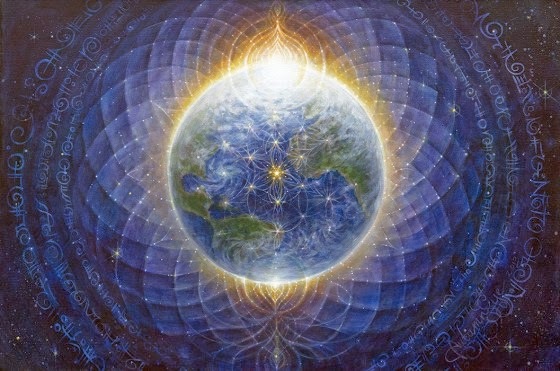 This ladder is an “internal ladder,” which will infinitely expand into higher and higher dimensions, as you calibrate your consciousness to the higher frequencies of reality. You, beloved ONES, are our “clean up crew” who has enough freedom from ego that you can clean up the mess that someone else made. You are free of ego, so you have no need to judge the ones who made the mess. When you come to that state of awareness, you begin to “build your new home,” which is your Lightbody. Of course, you do NOT build it because it already exists in your fifth dimensional, and beyond, SELF. Your Lightbodies are beginning to flash out form your core when you are in your higher states of consciousness. You may also experience your Lightbody when you receive a message from the higher dimensions. This “Light Language” has found an open portal into your 3D brain. Since messages form the fifth-dimension and beyond are free of time, they do no expire if you cannot get to them for a span of your “time”. Sometimes these message wait in your Multidimensional Mind for years before you can maintain the state of consciousness in which you can “retrieve and read” them. One of the first changes will be that you will recognize the components of your ego-self that do NOT want to change. During the many incarnations in which you played the 3D Holographic Game, you faced many hardships. These hardships made you feel weak and in adequate. But NOW you are realizing that it was your own thought forms and fearful intentions that created many of these physical difficulties. As you get more and more glimpses of fifth-dimensional consciousness, you begin to “catch yourself in the act” of being third dimensional. Remember that you were trained to get angry with your self and be remorseful for your behavior. That training was actually third-dimensional indoctrination. Because you are increasingly regaining your fifth dimensional perspective on life, the concept of self –judgment, or feeling remorse for past actions, to falling away. You will also need your Higher SELF to unconditionally love you when you cannot love your 3D self. Your Higher SELF will also unconditionally forgive you, as well as unconditionally accept whatever “mistakes” or “inner darkness” that you discover as you pull the greater light into your aura. Slowly, but surely, the inner and outer lights move into the “in-between” to merge. You will have “rehearsals” of this merging when in deep meditation, while lovingly assisting others, and whenever you experience a deep connection with your SELF. In this case, you will feel euphoric, invigorated, and you may even cry from joy and love. However, as soon as you try to pull this moment into your “time and sequence,” your consciousness drops back to the third dimension, and you fall out of the experience. We remind you, dear ones, to hold on to the “sides of your ladder,” as you make your journey. Would you climb a high ladder without holding onto it with your hands? NO, you would surely fall if you did. 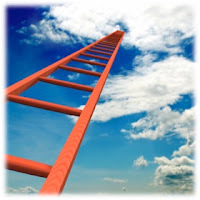 At the top of this “ladder,” you will find the Heaven that you have created on Earth. Blessings our wonderful, brave warriors for maintaining your unconditional love, inner peace and blissful joy while your climb this “ladder” Home to your SELF. We, your Galactic Family, applaud each and every ONE of you. The Led Zeppelin version of this song was, and still is, my all time favorite rock song. I was a “hippie” then, who was married, had two small children, and owned a house. We had amazing parties 2 to 3 times a week. I cooked everything from scratch, made our clothes, curtains, bedspreads etc. It was a wonderful time of hope and freedom, which of course ended. But the memory has always given me hope for the future.